The good old Hyperterminal which is a Windows program used for Communication of text or binary data via Serial communication [COM] ports or TCP/IP protocols. 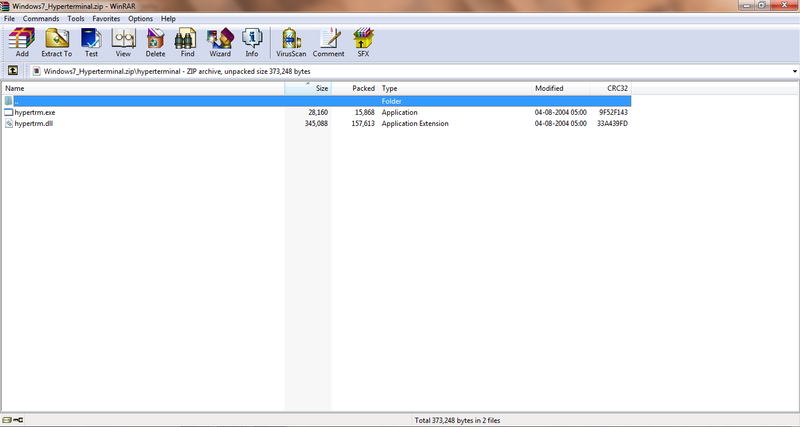 Unfortunately on Windows 7 or even Windows 8 it is not provided, as it was in Windows XP & later version. Many a times embedded system engineers need this program for sending information through Serial COM port, to the microcontrollers they are using [8051, AVR etc] & other devices they want to control through it. For many of them it will never be a wiser solution to downgrade the Operating System just for getting this program. -->Log ON to a computer that is still using the operating system of Windows XP. 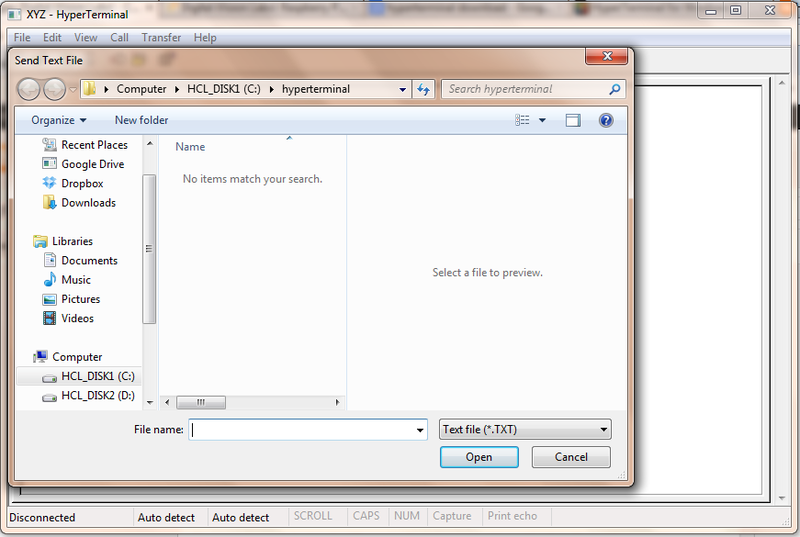 -->Copy the two files associated with hyper terminal,they are hypertrm.exe and hypertrm.dll. 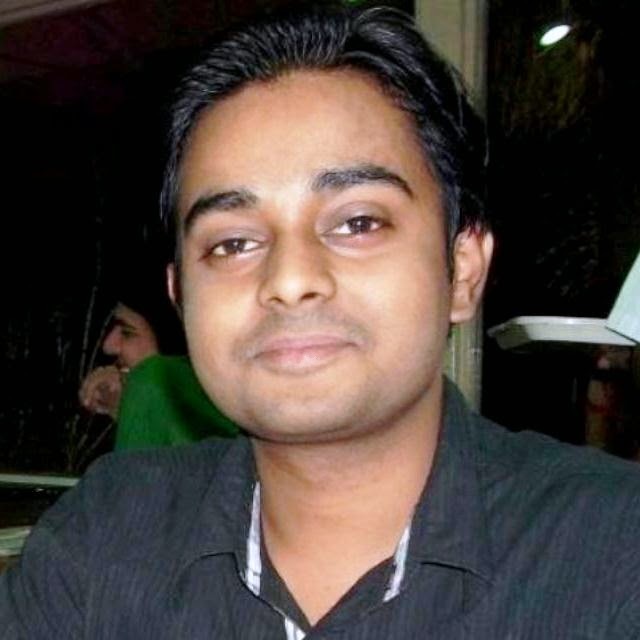 NOTE:- Copying these two file together is necessary as they depend on each other, i.e., they will not work single. Put these file in a Folder anywhere in your windows 7 or 8 system, and double click or press enter key to execue hyperterm.exe to start Hyperterminal in your Windows 7 or 8 system..! After clicking on hyperterm.exe it will ask you to make it as a default Telnet Program, You will have to click Yes or No as per your need of it. If you don't use any other Telnet Client, no harm in Clicking Yes, but to be on safe side[ if don't wanna disturb settings of your computer ], click No, and put a tick mark on the option to don't ask you again. 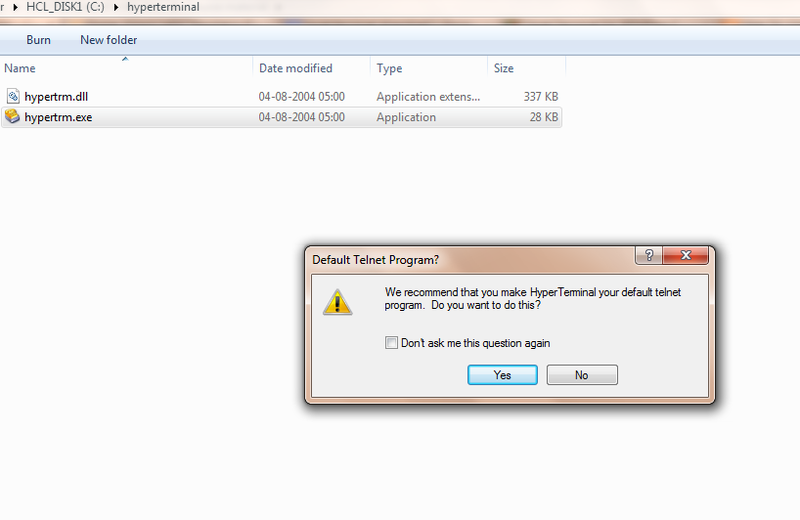 Then after that dialog box the Hyperterminal will open, with another question. It will ask you to give the connection name & selecting the icon [which will be invisible though, if you are using windows 7 or 8]. Click "Ok" After doing this. After clicking "OK", in the previous step, Hyperterminal will ask you to dial a Telephone Number, If you want just enter it and click "OK", of not click on "Cancel". 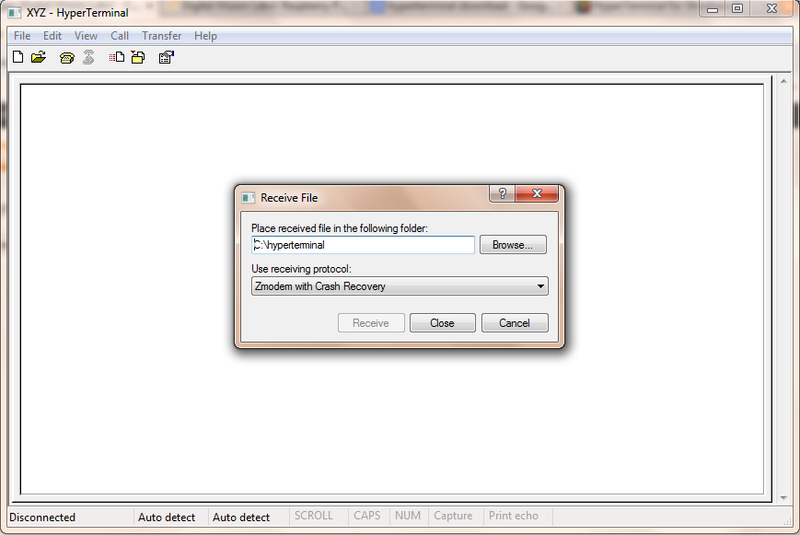 Click on "File", Then on "Properties", as sown in the snapshot. Once you have clicked in the "Properties", option you will see like this. Go to "Connect Using" drop down list, and select the COM port desired or TCP/IP or the Modem through which you wanna communicate. Clicking Call menu you will see 2 live options, Call & Wait For Call and two dead option [ which will come alive when you are in between a call ]. 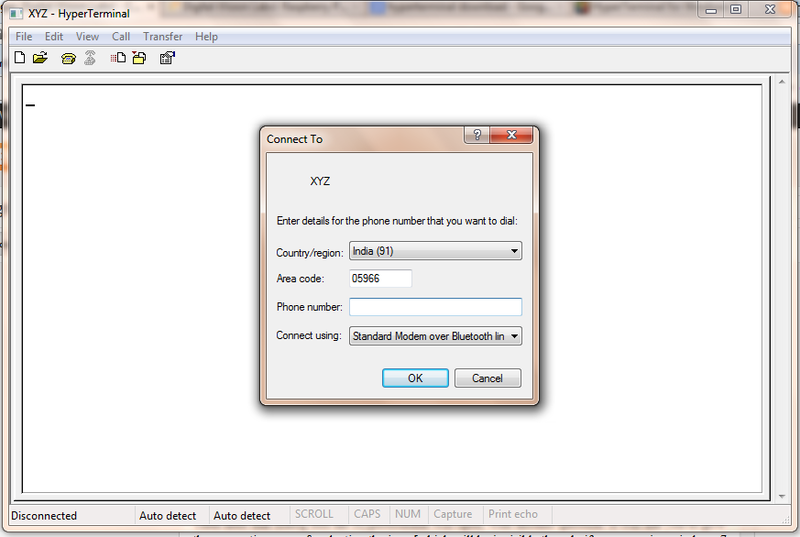 Clicking on Call will open the same dialog option, which was initially opened, asking the telephone number. 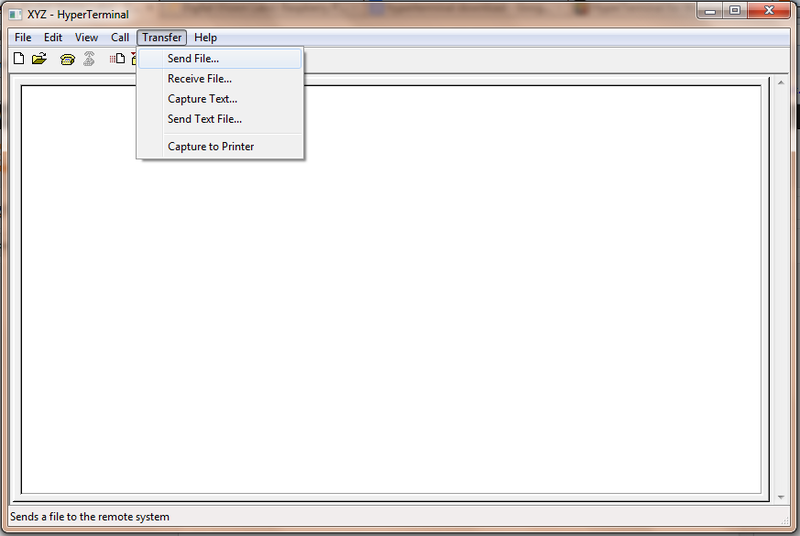 It is visible that it has 5 options, that is to Send File, Receive file [Both for Binary or Text file], Capture text, Send Text File & Capture to Printer. 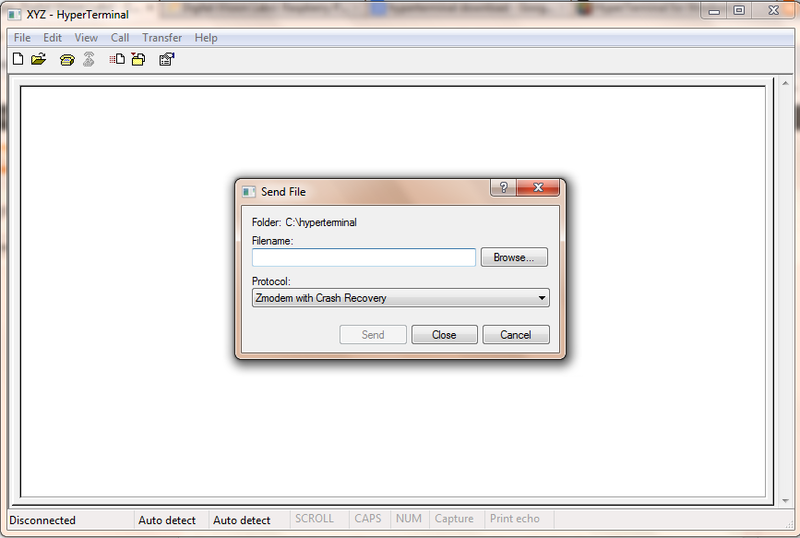 Browse your file that you want to send, and select the desired protocol, which will be used to send the file. Both sending and Receiving device must agree with the protocol type to use. Browse the desired folder you want to put your received file to, and select the reveiving protocol. 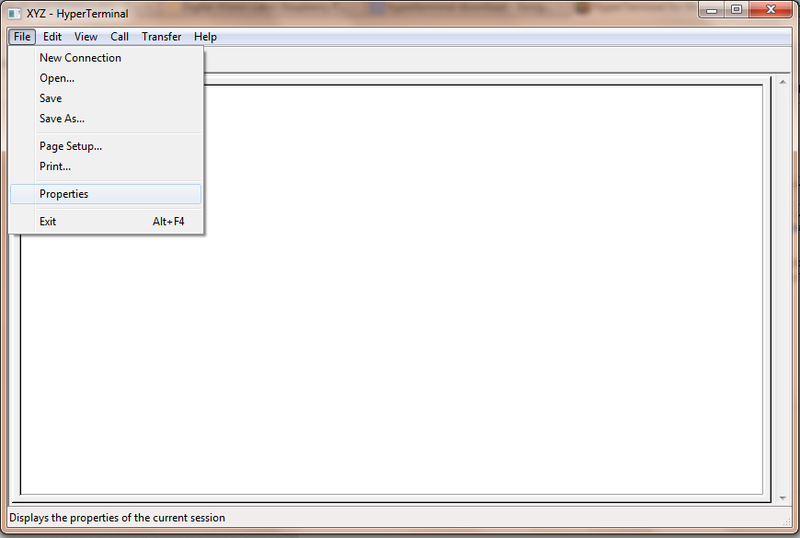 Yes it is possible to Capture the text whatever is received in the current session to a Text File. 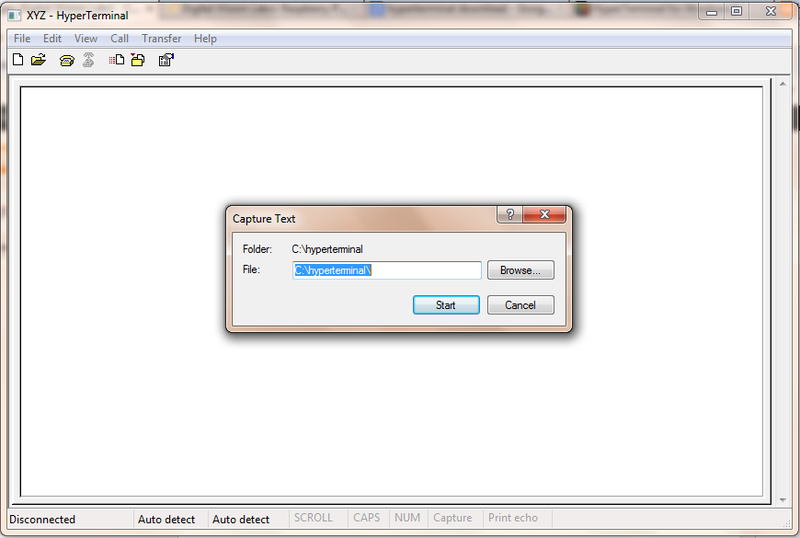 Just click on the Capture Text option from the Transfer Menu, and browse the pre-created TXT file. Best way to do is, place a empty TXT file. 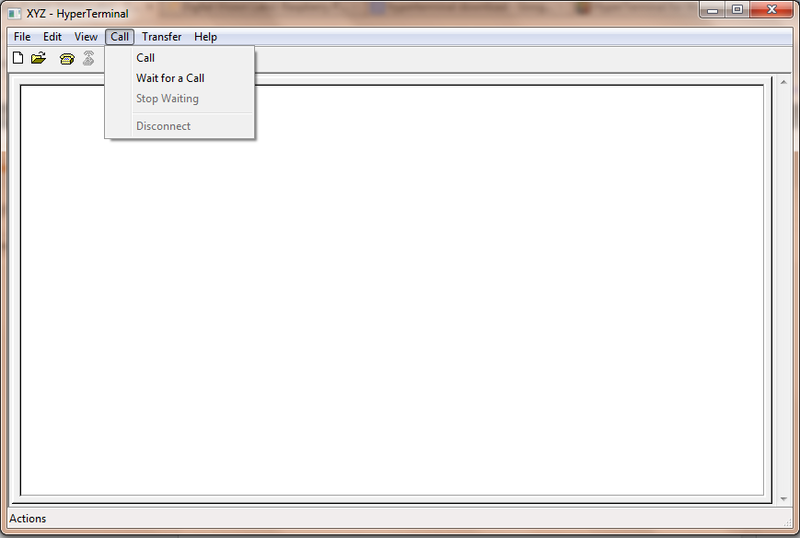 Just Click on the Option Send Text File, And you will se another dialog box saying to browse for the text file. Browse it, and click on Open. 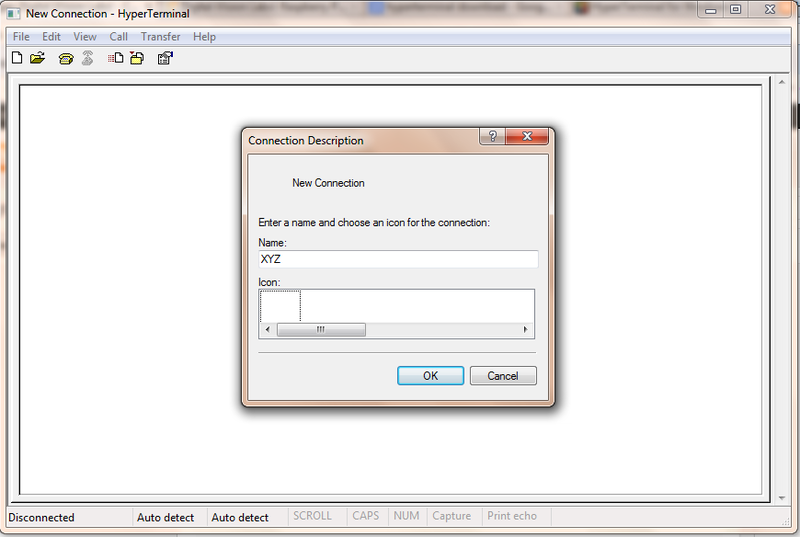 Hyperterminal will now make an automatic arrangement to send it through the COM port pre specified.